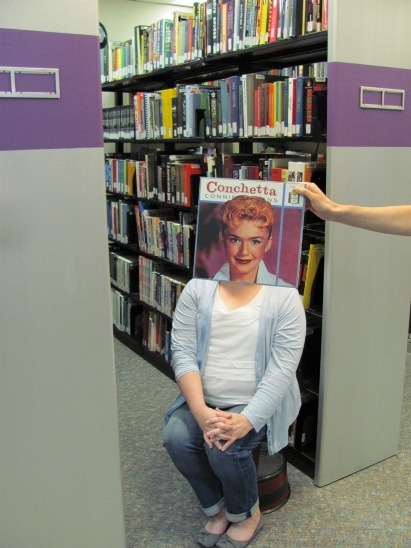 Connie Stevens is just pleased as punch with the new Music Reference shelving. It’s ever so much better than the old configuration, and more colorful too! In this photo: Connie Stevens, Susannah Cleveland and Andrew Smith. Photo by Liz Tousey. This entry was posted in Pop and tagged Connie_Stevens. Bookmark the permalink.